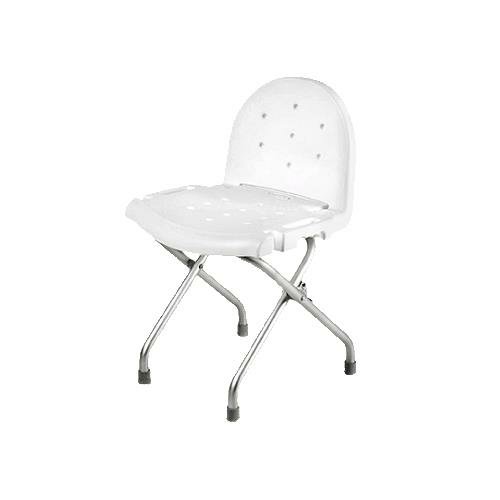 Invacare Folding Shower Chair with Back provides safe seating surface in the bathtub and folds quickly and easily for storage or travel. It provides maximum comfort and support when bathing or showering. 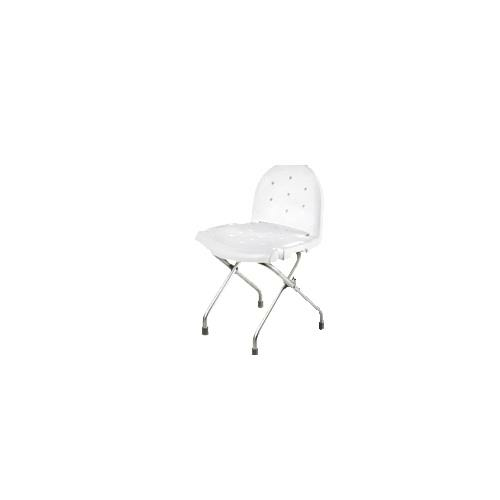 It features contoured, durable plastic seat and backrest, a built-in holder for optional hand held shower and durable one-inch anodized, rust-resistant aluminum frame. Seat to Floor Height 17-1/2"